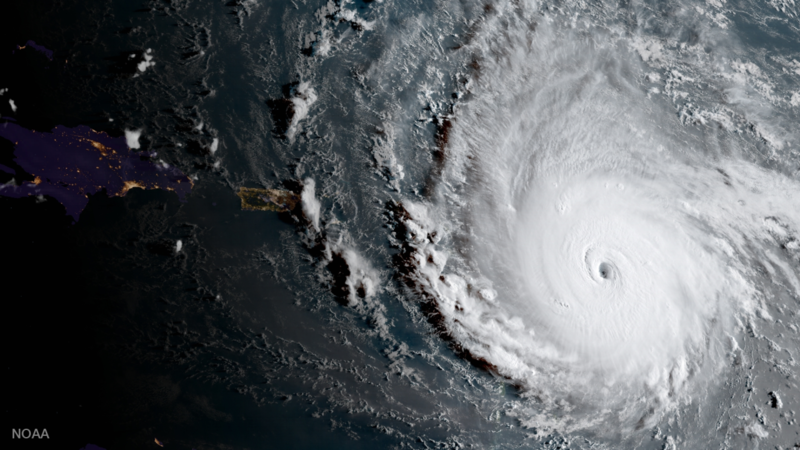 As much of the Southeastern United States and the greater Caribbean rim brace for Hurricane “Irma” over the coming days, the level of anxiety, stress, and worry is increasing exponentially as the storm draws nearer. People are scrambling for supplies, things we normally take for granted as ‘always available’ are suddenly scarce and the economic laws of ‘supply and demand’ are more evident than normal. In times of stress and lack, people show themselves in their best or their absolute worst. Tensions run high. Fear and greed make for very dangerous, yet primal combinations of inter-human relations. Uncertainty of the storm’s path and the unknown factors of the storm and its aftermath, and how our lives, property and safety will be affected weigh heavily on our minds. It is during trying times like these that we need to REMIND our selves, — because the mass media certainly would never “go there”, — that there is immense power in collective thought. Also termed ‘collective consciousness’, the principle is essentially this: the more minds focus on any one particular result/outcome/desire, the more force (i.e. “mental energy”) is behind it, and the more likely it is coming to fruition. This works both ways though! It can produce a result a group “desires”, or a result a group does “NOT desire”. The end-result is brought about by the most powerful energy behind that result. To really simplify things: If 100 people in a single collective think toward a POSITIVE end-result, it is likely to come quickly. If these same 100 people focus intently on the NEGATIVE end-result (which they DON’T want), it will come just the same, because that’s what the group focused on exclusively, or predominantly. Now it gets interesting when there are factions among the 100 people, where there are different mental focuses on different mental outcomes (good or bad). 60 for result “x”, 30 for result “y” and 10 for result “z”, etc. If my understanding of free-will and law of attraction and collective consciousness is correct, then the group of 60 will “win” in achieving their desired result, because they represent the largest coherent block of energy thinking toward the same end-result. (again, remember: they can be visualizing their ‘best possible outcome’ or their ‘worst possible outcome’!). Life and everything around us, including weather events, is all driven by energy and vibration. Natural laws. There is no ‘preference’ for “wrong” or “right, “good” or “bad”. It is important that humans collectively realize what the optimal end-result would be for the most number of fellow humans (and animals) concerned, in a situation like an impending storm or other natural disaster. The more humans can COLLECTIVELY rally behind the same understanding of the GREATEST AND HIGHEST GOOD, then the likelihood of achieving (= manifesting) that desired end-result is maximized. What gets in our ways is our individual ego, which thrives on low-vibration energy, including motivations of selfishness, greed, fear, anger, competition, sense of lack, sense of entitlement, sense of “me first”, etc. So let’s keep our evil little egos in check, try to focus on the best general result for the most people affected, and hold those positive intentions for the “best possible outcome”, and we would be surprised at the power the “collective” can have when harnessed for the Greatest Good. So as far as it goes for “Irma”, this too shall pass.